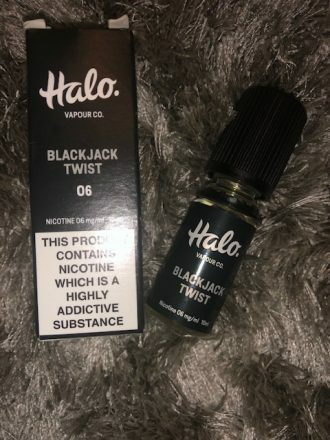 I was kindly given the opportunity to review some ‘Halo Juices’ from E-Cigarette Direct and obviously, I jumped at the opportunity. 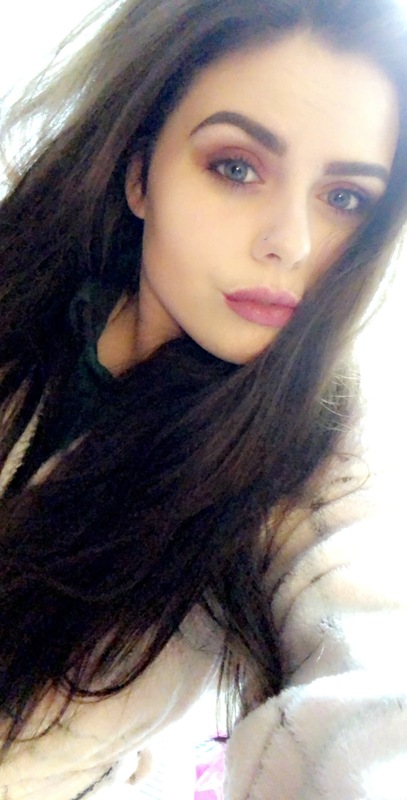 I have only just started using vapes and I am trying to get into the swing of using them more often than going out for a cigarette. So when the opportunity arises I thought what a wonderful way of finding out what type of juices I like and would vape with. 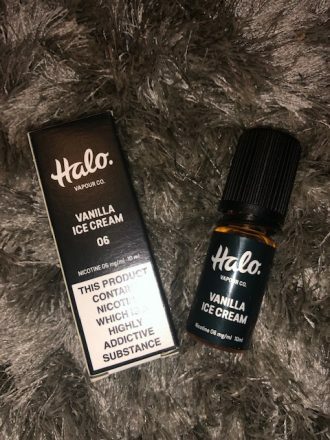 Halo Vapour Co. does a string of different e-juices. I have actually counted that they do 24 different flavours! So I am sure they have something for everyone. 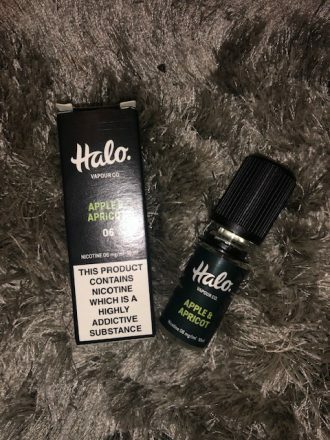 “After months of research, and based on feedback from hundreds of customers, the new Halo E-liquid is now ready! Suitable for beginners and experienced vapers alike, we’re sure you’ll love the rich flavour profile of Halo e-liquid. The delivery was extremely quick and as soon as I received them I started smelling them all straight away. The mixture of smells was amazing and I couldn’t wait to start to use them, I wish I could have 10 different vapes so that I could have each of them in use because they all are amazing. I chose 10 completely different liquids so that I could broaden what I like to use in a vape. One for vapers who love the sweeter things in life, Summer Strawberry is a deliciously sweet e-liquid reminiscent of strawberry candy. This candy-coated flavour is full of strong fruity notes on the inhale, but mellows out into a lighter, fresher taste on the exhale, making it an all-round crowd-pleaser. 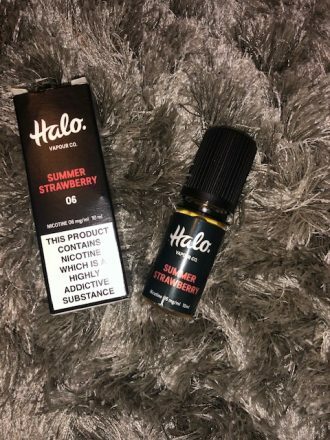 Upon smelling this juice, I fell in love with it straight away especially as it smells like my favourite strawberry chewy sweets. This liquid is quite sweet so definitely only for those that love to vape sweet juices as it can be a bit overpowering and a bit sickly. but overall I would give it 4/5. Unlike more synthetic blue raspberry flavours, Raspberry Crush is true to the delicious taste of fresh berries. Like a sweet, sharp raspberry coulis, this natural-tasting flavour will immediately put you in mind of summer puddings and freshly-made compote. Its refreshing menthol overtones and cool exhale makes it perfect for the warmer months. So smelling this one I automatically thought of a raspberry flavoured yoghurt, which is my favourite flavour of yoghurt. 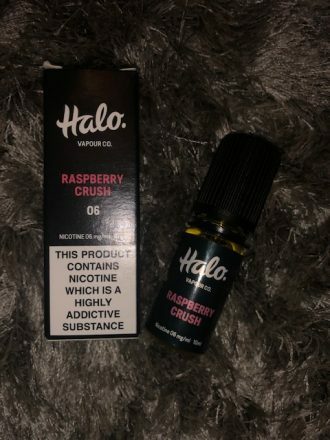 Upon vaping it tastes exactly like a raspberry flavoured slush rather than raspberry yoghurt, however, it also has a hint of menthol. But it still was a very delightful taste and slush are one of my all-time favourites (especially at a cinema). This flavour has been the best one I have tried to date and I would give it a 5/5. Improved Formula! 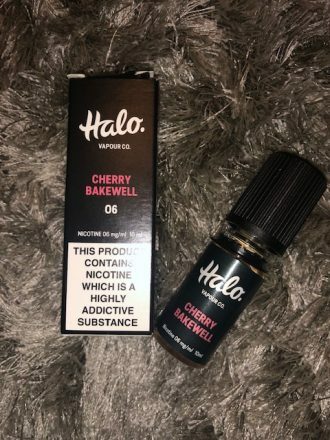 The mix of nutty and fruity flavours in this traditional British pudding makes for a delicious e-liquid, and our Cherry Bakewell expertly replicates everyone’s favourite sweet treat. With a top note of juicy cherry against a light almond background, this balanced flavour is as moreish as the real thing. Improved Flavour! This delicious minty flavour is creamier and sweeter than traditional menthol e-liquids, but will still leave your mouth feeling pleasantly clean and fresh. 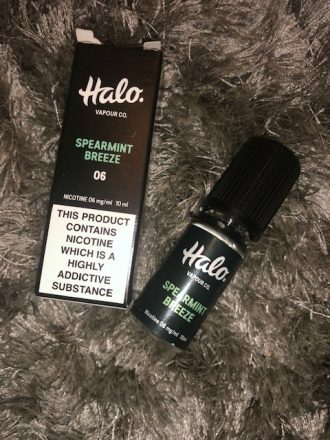 As it’s such a good palate cleanser, Spearmint Breeze is the perfect e-liquid to enjoy after a meal, and is an excellent flavour to share with friends. This fresh, juicy flavour is the perfect blend of summery fruit notes, with a crisp green apple top note on the inhale and mellow apricot on the exhale. The combination of fruits is deliciously complex, and you’ll love the hint of warm sweetness on the middle of the tongue. You can definitely smell the apricot but no so much the apple but I love the smell of apricots. I have never seen a juice mixing these two fruits but this is a lovely creation. This is a really nice juice to vape if you like your fruity flavours, it’s not too overpowering and at first you taste the apricot and then the apple but nevertheless, it is a lovely juice and very sweet. I would give this one a 4/5. 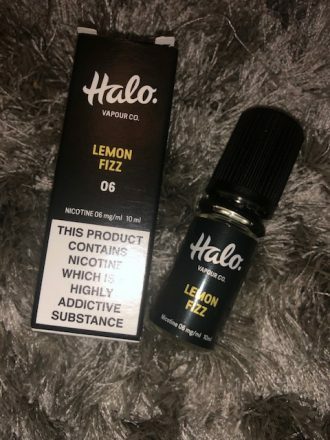 With its zesty blast of citrus notes and effervescent sherbet tones, Lemon Fizz is a bright, tangy flavour that perfectly treads the line between sharp and sweet. If you like the fizzy sourness of lemon sherbet sweets, then you’ll enjoy the lively taste of this classic e-liquid. Need to wake up your taste buds? Take a deep breath of this cooling flavour, which will leave your whole mouth tingling its with icy taste and smooth texture. 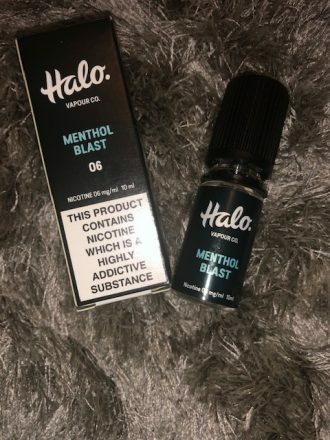 One of our more extreme flavours, Menthol Blast is a great way add a bit of kick to your vaping experience. Improved Flavour! This fun bubblemint flavour combines the sweetness of tutti frutti with the coolness of mint for a vape that will leave your mouth feeling fresh. 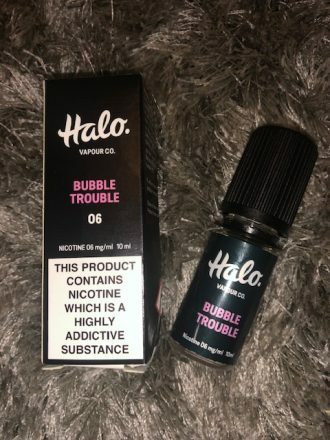 With fruity flavours on the inhale and lingering spearmint on the exhale, Bubble Trouble is a mild, sweet flavour that is ideal for everyday vaping.